Lovejoy Elementary is proud to announce the winners of our school spelling bee. 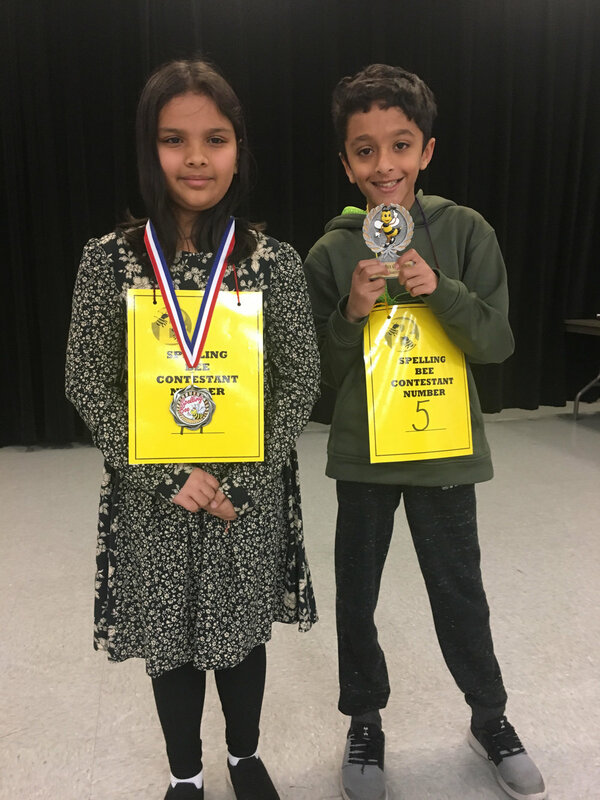 Out of fifteen fourth graders, Aamir Rehman (right) won the contest held on Jan. 18. Aamir will represent Lovejoy Elementary at the Collin County Spelling Bee which will be held on Feb. 7. Ameena Chowdhury (left) was our runner up. We are very proud of all of our participants, and we wish Aamir the very best at the next level.